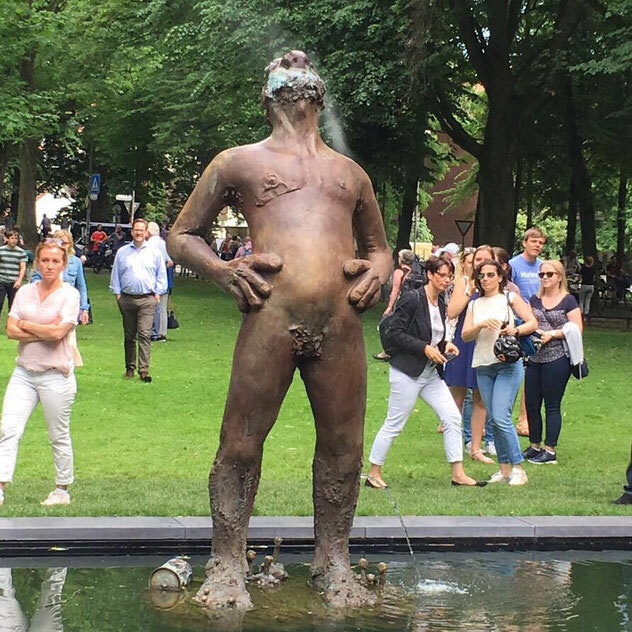 Nicole Eisenman’s artwork for the important sculpture show in Münster was a fountain installed in the grassy meadows alongside the well-frequented public promenade. The artwork included a square metal basin filled with water, with one bronze figure standing inside it, water streams cascading from unlikely parts of its body. Four additional figures, reclining or seated, were installed around the basin, with only one of them rendered in bronze. The other figures, voluminous, and genderless, were cast in plaster, and thus subjected to the elements. 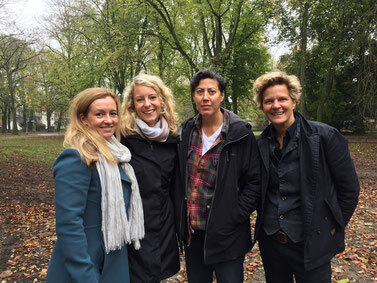 Skulptur Projekte Münster takes place once every ten years, and is considered one of the world’s most important exhibition dedicated to sculpture and public art. It was launched in 1977, and its artistic director since the very first edition has always been Kasper König, who works on each iteration with rotating curatorial teams. This year, the co-curators are Britta Peters and Marianne Wagner. 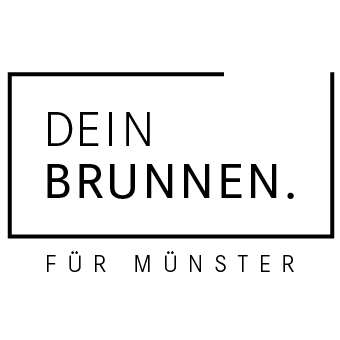 Dein Brunnen für Münster e.V.